Viva Sheila and her filly have settled in well at Gainsborough Farm. They are enjoying the grass, sun and fresh air of Kentucky. Happy 1 month to Viva Sheila19. She is soaking in the Kentucky air, stretching her legs and growing well right next to her mama at Gainsborough Farm. VivaSheila at Gainsborough Farm from National Museum of Racing on Vimeo. 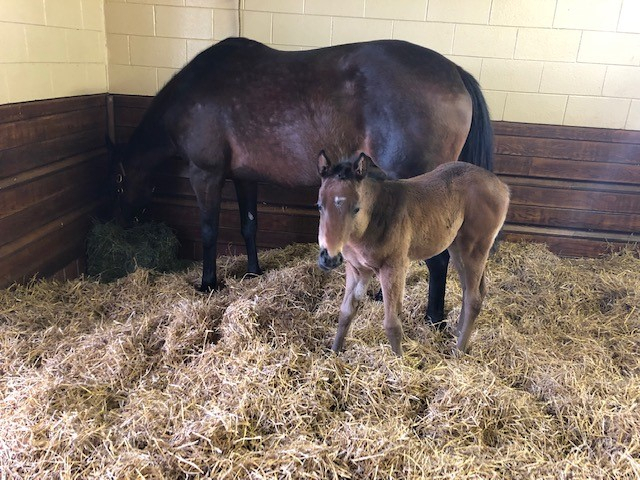 Viva Sheila and her foal have arrived safely in Kentucky at the magnificent Gainsborough Farm!! They had a great trip and travelled well.